We’re located on Clyde Park Ave SW about halfway between 68th and 76th Streets. 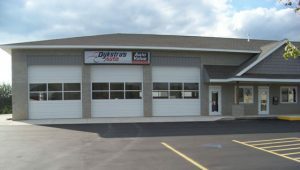 This facility features 6 bays and is equipped with all of the latest technology to keep your vehicle in top running condition. We offer free shuttle service to and from work or home. Coffee, soda and cookies in our customer waiting area and free Wi-Fi.